Julian Gerighty, creative director of The Division 2, is big believer in the campaign, and apparently that’s justified by how players treated the single-player story of the previous game. Gerighty says that despite the original campaign’s impressive length, it’s been completed by more players than have finished any other Ubisoft campaign. Presumably, that means you should expect big things from The Division 2 single-player. It might be difficult to save the soul of America in the largely non-political context of a Ubisoft political game, but regardless of the narrative limitations it’s good to see that the developers aim to craft a good campaign even with a focus on the Division 2 raids and other endgame progression. 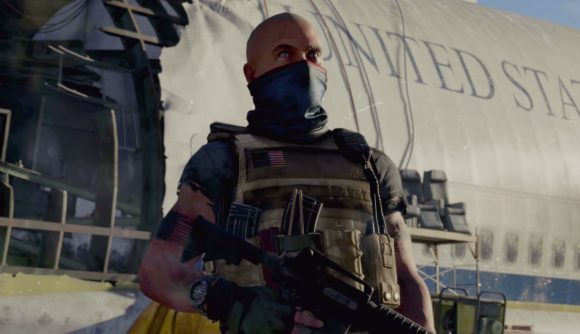 Ubisoft has offered up a bit more detail on the upcoming Division 2 beta today, which you can see at the official site. In short, you’ll have two main missions, five side missions, and a host of additional PvE and PvP activities. The beta starts on February 7, and you’ll get a selection of endgame content to check out the next day. The beta will then close on February 10. The Division 2 release date is set for March 15. You can follow that link for much more info on what to expect when you set foot in the ruins of American government.